The Circle Pad Pro™ is a comfortable cradle that holds the Nintendo 3DS™ system while adding an analog Circle Pad on the system's right side. The attachment also adds additional shoulder buttons to give it a feel more akin to traditional console controllers. It is designed as an optional accessory and is compatible with select titles, including The Legend of Zelda™: Majora's Mask 3D™, Monster Hunter 3 Ultimate, Resident Evil Revelations, Kingdom Hearts 3D [Dream Drop Distance], METAL GEAR SOLID 3D Snake Eater, and Kid Icarus™: Uprising. 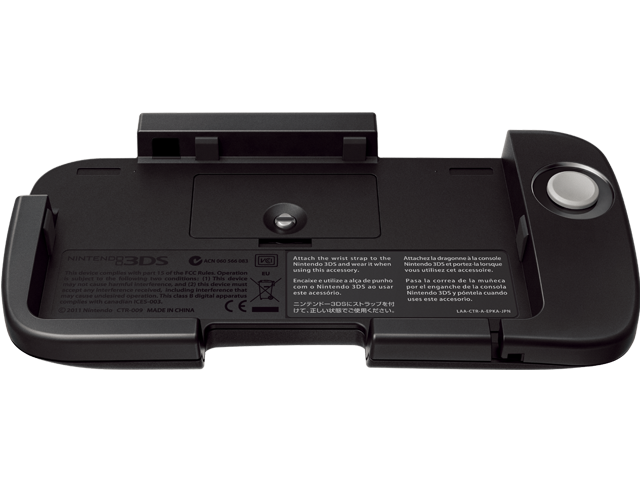 Note: The Nintendo 3DS Circle Pad Pro is not compatible with the New Nintendo 3DS™ XL or Nintendo 3DS XL. Includes Wrist Strap. Nintendo 3DS system sold separately.